The Humboldt County Coroner’s Office has identified the man killed in a Eureka motorcycle accident early Sunday morning as 26-year-old Tommy Ricardo Ruiz. Instead, the officer reported the speeding motorcyclist to dispatch and continued northbound on Broadway, where he ultimately saw Ruiz fall from his bike and strike a raised curb at the intersection of West Grant Street and Broadway. Ruiz’s bike continued north until it smashed through a closed garage door in the 900 block of Broadway. Humboldt County Deputy Coroner Roy Horton said Ruiz has family in the area and worked at Mickey’s Quality Cars in McKinleyville. Horton said officials are still investigating the possibility that alcohol played a role in the crash. 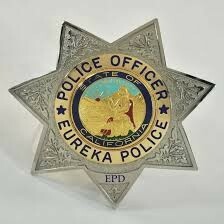 On April 20, 2014, at approximately 12:35 AM, a Eureka Police Department officer on patrol was driving northbound in the #2 lane of Broadway Street just north of Wabash Avenue when he was passed by a blue and white Honda motorcycle traveling at a high rate of speed in the #1 lane of northbound Broadway Street. The officer estimated the motorcycle was travelling in excess of 80 MPH as it entered the 30 MPH zone there. The officer broadcast his observations of the reckless motorcyclist to Dispatch but did not take any enforcement action out of concern it would only prompt the rider to further increase his speed. As the officer continued driving northbound, he saw the rider lose control of the motorcycle at around the 1000 block of Broadway. The rider fell off his motorcycle and struck the raised curb at West Grant Street and Broadway. The motorcycle continued north and collided with a closed garage door at 939 Broadway, breaking through the door. The rider suffered fatal injuries from his collision with the curb and was pronounced dead at the scene. EPD Traffic Unit officers were called to the scene and assumed the investigation. Members of the Eureka Volunteer Patrol (EVP) also responded to assist with traffic control and scene security. The name of the motorcyclist is being withheld at this time pending notification of his family. Any witnesses to the collision are asked to call Senior Traffic Officer Tim Jones at (707) 441-4109. Reference case #3T14-240.